Welcome to the Fantasy Six Pack! If this is your first time joining us, we highlight six golfers to use in two popular fantasy golf platforms, DraftKings and FanDuel. On each, you must select six golfers for your lineup under a specific salary cap. (DraftKings $50,000, FanDuel $60,000.) A little about me: I’m a golf nut with a 1.3 handicap and a nose for analytics — according to Rotogrinders, I’m one of the top daily fantasy golf players and ranked inside the top 25 of all players. Come check out more of my analysis at Awesome.com. There’s no sugarcoating it: it was by far our worst week of 2019. But don’t worry, we saved our best for the biggest contests of the year, which are all available this week. Onward. Skills emphasized: It is no secret that at Riv you need the entire bag of tricks, as the winners have gotten it done a multitude of ways over the last five years. We’ll look for players who can do it all. 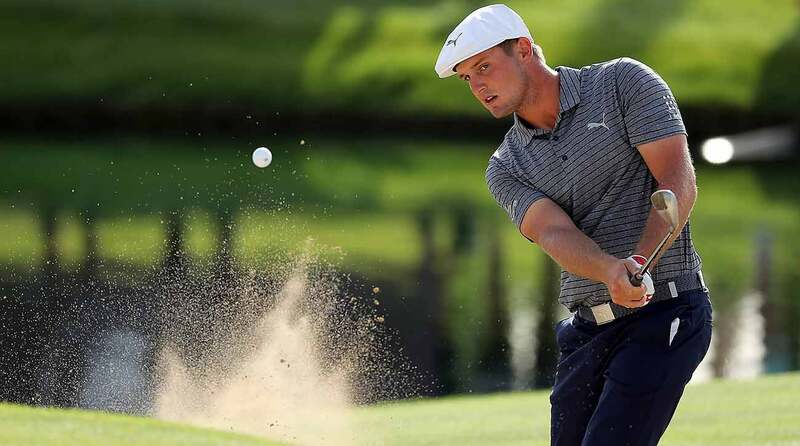 Bryson DeChambeau (Odds: 15/1, DraftKings $10,200, FanDuel $11,700) Bryson’s detractors, a club that is shrinking with each passing month, say he isn’t in the Tour’s upper echelon just yet. I’m not one of them. He’s fifth on the board this week in DraftKings salary and he also has the fourth-best odds. He leads the field in tee-to-green over his last six starts, while also averaging about a half-stroke gained with his putter. He’s my top choice this week. Paul Casey (Odds: 35/1, DraftKings $8,800, FanDuel $11,000) Year after year, Casey seems to have early-season juice. Riding back-to-back runner-up finishes, the only question is whether Casey can close out a win. Still, his only weak spot is putting, but he seems to putt much better on Poa, which is what he’ll find at Riv this week. Adam Hadwin (Odds: 55/1, DraftKings $7,800, FanDuel $9,700) Another guy who just absolutely loves this time of year, and lately all facets of his game are clicking. He hasn’t missed a cut at Riviera in four years, capped by a sixth-place finish last year. Harold Varner (Odds: 110/1, DraftKings $7,000, FanDuel $8,700) These next two picks are boom or bust, but both guys are coming off top-10 finishes. Varner was able to secure that top 10 with all facets of his game working, as he gained strokes on the field in all measured categories. He’s on a good run and looks to continue that streak in L.A.
Jhonattan Vegas (Odds: 150/1, DraftKings $6,500, FanDuel $8,100) I find Jhonny to be one of the toughest golfers on Tour to get a read on, but one thing I’ve noticed is that he seems to do well in wet conditions. Take the 2017 Zurich Classic, where he missed the sudden-death playoff by one shot, or last week at Pebble, when he had a good Sunday round in bad weather. At this price, he’s worth a shot. Jordan Spieth (Odds: 25/1, DraftKings $9,200, FanDuel $10,900) Spieth is here again after holding the lead through 48 holes at Pebble before finishing outside the top 30. That was the third straight event where he was a factor deep into round 3 before stumbling. Maybe this is the week he puts it together for four days. Tiger Woods (Odds: 25/1, DraftKings $9,400, FanDuel $10,500) For all his career successes, Woods has never played all that well at Riviera. He’s now also acting as tournament host, which could be an added distraction. Hey, he could win this week, but history is against him. Where to play this fantasy Golf this week: Tiger is the theme this week as big contests come back! 1. $10 buy-in called “Mini-Febuaray Freeze,” with a top prize of $150,000 and a guaranteed prize pool of $600,000. 2. $100 buy-in called “February Freeze” with a top prize of $100,000, and a guaranteed prize pool of $400,000. 3. $33 buy-in called “DogLeg,” with a top prize of $50,000 and a guaranteed prize pool of $300,000. 1. $3 buy-in called “Stinger,” with a top prize of $2,000 and a guaranteed prize pool of $14,000. 2. $7.77 buy-in called “Eagle,” with a top prize of $25,000 and a guaranteed prize pool of $125,000. 3. $333 buy-in called “Monster,” with a top prize of $8,000 and a guaranteed prize pool of $30,000. Jason Rouslin is the lead golf analyst for Awesemo.com. He has been playing golf for the last 20 years, betting on golf for the last five and writing about golf for the last two. Connect with him on twitter @dfsgolfer23 or check him out on the @rotogrinders live golf show on Tuesday’s @ 8 PM and on the live @Awesemo_Com golf show at 9 PM Wednesdays.